With my nimble fingertips ripping through the paper, I couldn’t wait to open my Christmas surprise. Mom had been eluding to it all week; how cute it was, how wonderful it would look on me and that it was the perfect color for my complexion. Throwing the paper onto the floor, I tore the box open, pushed the tissue aside, then gasped in horror. “What the hell?” my snarky sixteen-year-old self wanted to growl, but held inside. 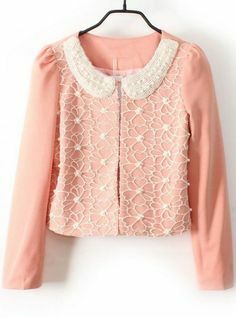 Instead of some hip outfit that would attract the attention of all the boys sat a nerdy pink sweater, complete with pearl buttons and a lace collar. “Is this for me?” I asked, wondering if she’d accidently given me the gift intended for my grandmother. Back in the 1960s, the Madden family home often felt like a Ringling Brother’s Barnum and Bailey Circus as my parents desperately tried to keep their balance on the financial tight rope. With four teenagers in private high schools and college, a mortgage, and taxes galore, money was allocated only to the necessary payments on my father’s ledger. So, when something was purchased that was considered extra, I knew it came from a place of love. Seeing how excited my mother was that day, there was no way I could take the old lady sweater back. Instead, I wore it once or twice around the house where no one would see me, then placed it in the bottom drawer with all the other missed hits from past holidays. Years later, I’d better comprehend the pain that goes with gift giving. Buying presents has become a laborious chore for me right up there with cleaning dirty toilets and scrubbing the floor. Like my mother, I’ve spent hours thinking, analyzing, and then searching for just the right something that would make my kids’ hearts sing. After all, presents are a symbol of my undying love for them, especially in hard economic times. But, if the gift didn’t float their boat, I too gave permission to return the item as I crumbled inwardly over my self-perceived failure. But this year I have a solution that’s sure to be a winner. Instead of fighting the crowds and becoming frustrated over “what do I buy?” I plan to do nothing. Yes, nothing. No stockings filled with shampoos, pens, hairbrushes, and ChapStick they don’t need. No jewelry, books or games, and definitely no clothing (I rarely get that one right anyway). What I plan to give is something I know they won’t want to return. When my adult babies arrive for the holiday festivities, I’ll present them with the best gift ever: a mother who isn’t worn out, but relaxed, calm and mentally available for all conversations, big and small, because I haven’t allowed the holiday stress to get to me. Ok, maybe there’ll be a little something under the tree, like an adoring note and small check to spend how they see fit. After all, I can’t let them leave empty handed, but I’ve finally learned, after all these years, the best gift I can ever give my kids is my uninterrupted time so I can shower them with all the love I hold inside. Now who would ever want to return something so special? I’d love to hear how you plan to spend your holiday season.